"Of all of Jung's contributions to understanding the nature and processes of the human soul, perhaps the idea of "complexes" is the most practical in understanding daily life. Complexes are charged clusters of our history--some supportive, some destructive--which usurp ego consciousness and make choices for us. Getting some idea how we are often driven by these "splinter personalities" is the first step in a more consciously conducted life." 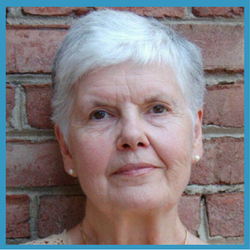 Phyllis LaPlante, MSW, LCSW is a certified Jungian Analyst and Licensed Clinical Social Worker. She received her Diploma from the C.G. Jung Institute of New York in 1998. She teaches courses in Jungian theory and practice. Semi-retired, she offers short-term consultation.